Introducing the latest Tohatsu MFS25 & 30 'C' models. 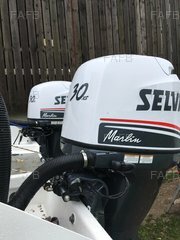 These engines are 3 cylinder EFI Four Stroke outboards available as manual start tiller control, electric start with remotes and electric start with remotes & power tilt. The KW rating on these motors is 18.4 for the 25hp and 22.1 for the 30hp. Available as standard or longshaft, the longshaft can be converted to Ultralongshaft using an extension kit available at £361 + VAT. * 12 volt 15 amp 180 watt alternator (with rectifier for battery charging on electric start models). * New optimized gear ratio (26:12 / 2.17) allowing use of larger propellers. * Variable trolling control of 858, 950 & 1050 rpm. * TOCS System which links to compatible Garmins etc to monitor engine functions. * All models have a full manual rewind start fitted as standard in case of electric start failure. * Manual start models have front mounted gearshift. * Electric start remote models can be converted to electric start tiller models using the optional multifunction tiller. * 5 year leisure / 2 year commercial warranty. ALL PRICES INC VAT. 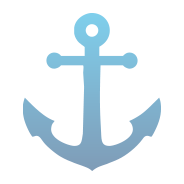 COLLECT FROM BOURNEMOUTH OR SHIPPING ARRANGED - COST SUBJECT TO POSTCODE.